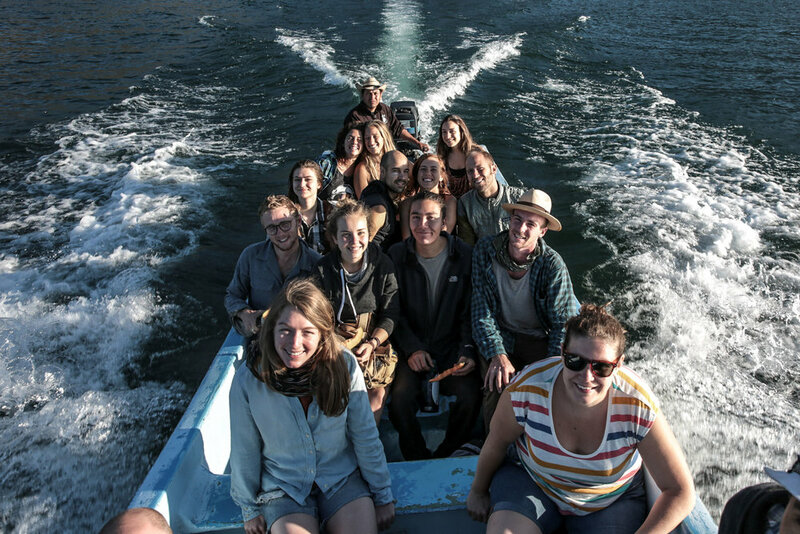 Join us on Lake Atitlan for this amazing week-long course! Through a balanced combination of hands-on practicals and inspiring presentations, participants begin to see the world through a new lens. Every day will bring new insights, as connections are revealed and appreciation is gained for the amazing symbiosis that is possible between humans and the natural world. Great for both beginners and experienced permaculturalists alike, this course covers 70% of a regular PDC at a fraction of the cost! We believe you'd be hard-pressed to find as in-depth and inspiring a course out there at this value. There are literally hundreds of definitions of permaculture and as far as we are concerned, they are ALL VALID. Part of respecting and valuing diversity and self-regulation means tolerating ideas or interpretations that one may not agree with. While we spend a lot of time in the garden and working in nature, permaculture is applicable to all aspects of life. A more technical approach to permaculture suggests that we mimic nature and natural patterns to design and implement ecosystems that meet our collective needs. A deeper definition considers the whole of human culture and suggests that permaculture is a tool for designing new ecological culture, considering the whole of the earth in all of its strategies. Whatever definition works for you is cool. We like to say, it doesn’t matter what you call it, just so long as the work gets done! 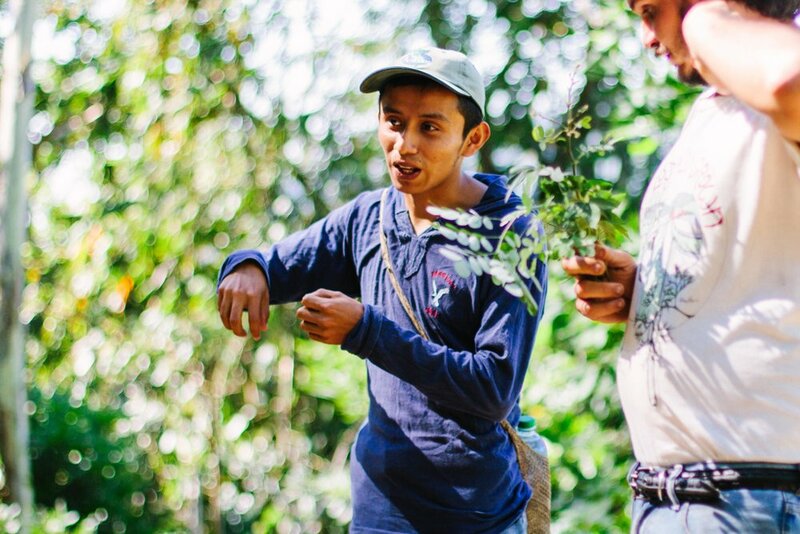 Through an balanced blend of practical work on the Atitlan Organics farm and interesting presentations and group discussions, participants gain a well-rounded and dynamic understanding of Permaculture. Over the course of the week we'll move from a big picture understanding of Permaculture, starting with the Permaculture Principles and Ethics, Permaculture Design Theory and Zones, and the Ecology of Permaculture, into a detailed approach of specific themes related to Permaculture. These include: Water Management and Storage; Efficient Capture and Use of Energy; Garden Bed Preparation and Care; Plant Propagation; Earthworks and working with Contour; Fertility, Soil Building and Compost; Food Forests and Wetlands; Animal Husbandry and Integrated Animal Systems; Social Permaculture, and MUCH MORE! On Friday, we'll take a field trip to the Meso-American Institute of Permaculture and the Kaq'chikel Maya village of Quixayá to see more amazing examples of Permaculture in action. It's really an amazing, fun, inspiring, and beautiful day of travel throughout Lake Atitlan and the surrounding region, and one of the highlights of the course! As you can see, it's an "Introduction" in name only. You'll finish the week not only inspired to enact change, but empowered with the specific skills and techniques necessary to do so. 6 nights stay at the beautiful Bambu Guest House, a naturally-built hotel on stunning Lake Atitlan. 3 meals a day plus snacks, coffee and tea at the Bambu's amazing farm-to-table restaurant. It's seriously plate-licking good! Facilitation, field trip and excursions, course material, note packs, and other electronic information. all this for just $575! We value Permaculture knowledge and truly believe that it can help create a better world and future for us all, therefore we have decided to keep our courses affordably priced. In addition, we have a few partial scholarships available; contact us for more info on them. Can't Make the Upcoming Course? Don't worry, we run them several times throughout the year! No matter when you'll be in Guatemala, we're sure that you can find a date that works for you. Neil is originally from Ireland. He grew up on a dairy farm and has been around animals all his life. He studied agriculture in Ireland and has worked as a permaculturist for the past 10 years in Antigua. Neal worked as the Volunteer Manager at Atitlan Organics for 2 years before co-founding his own Permaculture-based enterprise, Abundant Edge Farm, in Tzununa. He brings a wealth of experience, enthusiasm, and energy into each Intro to Permaculture Course and we're very happy to continue our collaboration with him. Shad Qudsi, co-founder of Atitlan Organics, has 15 years experience in organic and commercial gardening and farming. He is certified in Permaculture Design and has over 6 years experience in holistic site development and homesteading. Shad originally set out to study mathematics and work in big business, but long ago had a change of heart. He can now be found dancing in his garden in Tzununa. Aside from all of this, Shad is an enthusiastic teacher who truly believes in the work he is doing. Human resiliency cannot be erased from the landscape and now, it is coming back with a gentle touch. Haley is from suburban Southern California. Having changed her major multiple times, and feeling a lack of practical skills, in 2013 she dropped out of University to travel through Central America, where her real education began. 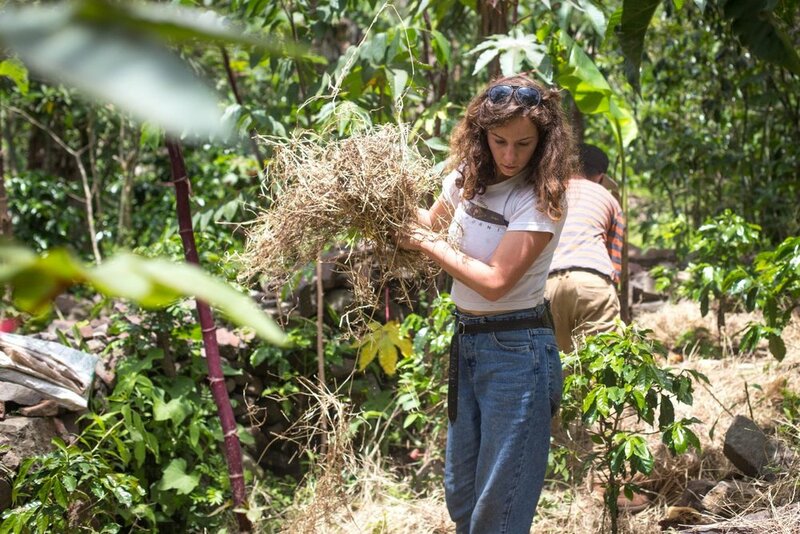 Permaculture Certified in 2014, Haley went on to complete the 2017 Earth Activist Training in Group Leadership and Empowerment, an intensive training course in Social Permaculture . She has made Lake Atitlan her home, where she manages Big Rock Farm in neighboring San Marcos, teaches, and gives consultations. Haley is passionate about reconnecting others to live in harmony with nature, and a truly inspiring course leader. The workshop always starts on Sunday afternoon. Participants are expected to arrive by 4pm, but are welcome to come and check in at the Bambu Guest House any time throughout the day. Once the course starts, all food, lodging, training, and travel is covered and included in the cost of the workshop. We often travel on local pickups, which makes all excursions fun and exciting. Adventure travel! The intensive course ends Saturday at noon, following a big brunch, student presentations, and goodbyes. We can help arrange shuttles to and from the airport, Antigua, or anywhere else. Just let us know if you need this service. Upon writing us to express interest, we will send an FAQ and a food allergy questionnaire. 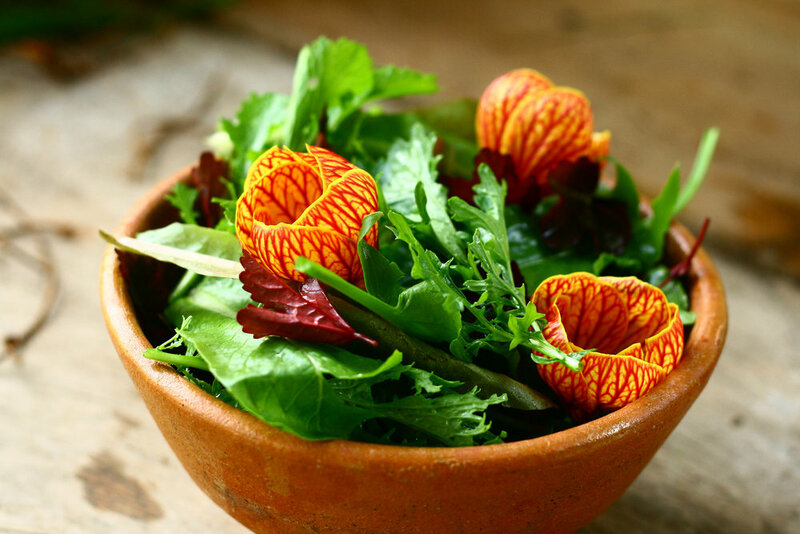 We can accommodate almost all requests including vegan, gluten free, and vegetarian diets, etc.